It is a gray, rainy, and cold day here and the forecast is calling for snow tonight and tomorrow. After running my errands this morning, I decided it would be the perfect day to stay home and work on the Christmas decorating. 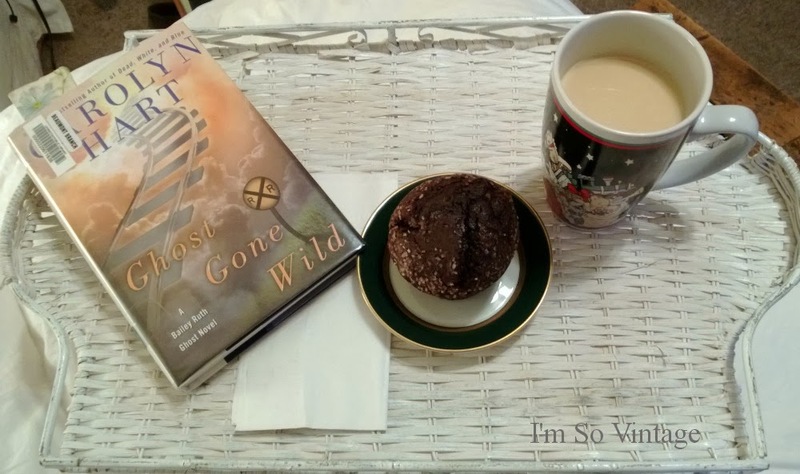 But, it seems like time for a break, so I pulled out an oversize Christmas mug for some decaf coffee along with a chocolate muffin and a new mystery on a pretty white wicker tray. Think I will just relax by the fire for a little while. On a side note. Did anyone else watch my favorite show, "The Blacklist" last night. It left me feeling pretty traumatized. Do you think someone important is going to die on the fall finale next week? I can't be James Spader. Everyone would stop watching. Guess we'll just have to wait a week. Hard to do. Oh my gosh. Really unbelievable this week. We just discovered The Blacklist a couple of weeks ago and quickly watched all of the older episodes. It's such a great show and last night's was no exception. Can't wait for part 2! And I agree that rainy days need comfy clothes, coffee and new books! Enjoy! It looks like you had a wonderful day in spite of the weather. I love a good book on a nasty day! I thought this show was on Tuesday nights and I was going to try to catch it this week. I don't watch much TV but I love James Spader! James Spader is unbelievable in this show. I do not watch television, but that book looks intriguing! Looks like the perfect thing to do on a rainy day. It has been cold and rainy here all day too. Thank you, Delvalina. It is a cozy spot. Mines on PVR too...don't spill yet. I love that show. I am not a huge TV watcher, but I love that show. I started some decorating, too. It's a lot of work, isn't it? But I love the way the house looks when it's done and it's fun to see what I have stashed away. The book looks good....I don't watch tv though. Sweet hugs! Right now I have a big mess. I don't watch TV in the summer, but when the cold weather sets in I get hooked on a few shows. I really like that show and it was so good but yes hard to watch in away. I don't think it will be James Spader who dies. I am ready to do some Christmas decorating! Oh, I have 3 weeks of The Blacklist on my DVR to watch yet. I better go get caught up! James Spader is amazing in his role. If I sat down with a book you wouldn't move me until it is done. I love to read, but do nothing but that once I get started. I wish I had time to squeeze it into my schedule. Good for you, enjoying yourself a little. It is definitely a nail biter and this week was really gory. Blacklist is one of my favorite shows!!! Didn't see the last one tho. Will catch up and watch it on my computer. Have a wonderful Thanksgiving, Laura!! It is a good one, Katie. Happy Thanksgiving. Thanks, Barbara. Happy Thanksgiving to you, too. Sounds like you are keeping cozy! Enjoy your decorating. Happy Thaknsgiving, Laura! Happy Thanksgiving from one 'Blacklister' to another, LOL. I have loved that show from the very beginning and I am a long time James Spader fan. This weeks episode was so awesome that I went into shock when it ended unresolved. Can't wait till next week! My son and I are going to friends tomorrow afternoon so my Thanksgiving morning will look a lot like yours did today. Tea and coffee cake in bed finishing up "The Other Mrs. Darcy" between glimpses at the parades. 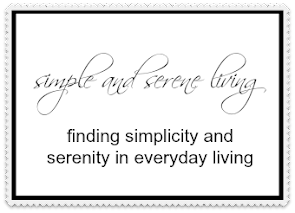 Enjoy your decorating and have a Blessed Holiday Weekend! Have a wonderful and restful Thanksgiving, Cassandra.